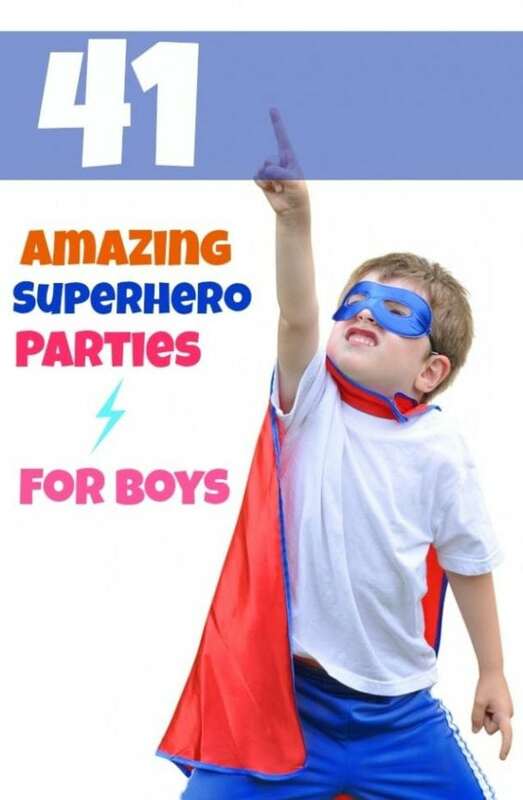 If you’re thinking about hosting a boy’s super hero themed birthday party, this “Super Heroes Save the Milk Bar” party is jam packed with incredible decorations and details. Tiny Tots Toy Hire (printables, props, toys and hire) and Sophisticated Yum (dessert table styling) paired up their super powers and created one mega party. Don’t bat an eyelash or you may miss the action packed details captured by Eclektic Photography + Design. There are great ideas for a spectacular birthday cake, powerful treats, energizing party games and fun for all ages. Don’t miss the awesome activities in this super hero 5th birthday party. If a special boy in your life loves Avengers, you’ve got to check out this incredible Avengers inspired super hero party! Planning a mixed gender, joint birthday can intimidate the best party planners. But, by using a little creativity, some fantastic props and styling, a fun and stylish party was definitely achieved in this super hero birthday party. Let’s start with the adorable “milk bar”. Using a jukebox, gumball machine, dessert riser, a mix of pretty cake stands and apothecary jars, delicious cookies and candies were impressively displayed for guests to enjoy. I love the yellow and white striped canopy and the pop of color it gives to the bar. An absolutely gorgeous cake by Spoon and Fork Cookies and Couture Cakes and Supplies was the obvious star of the table. Three gorgeous tiers, each a unique design, were topped off by a fun retro inspired topper. Colorful sodas were decked out in custom soda pop labels and embellished with a rainbow of striped paper straws. Absolutely beautiful sundae push pops by Theme My Party made a beautiful addition to the dessert bar. And look at those “sundae” cream puffs. Anybody hungry? Pretty cake pops (also by Theme My Party) and macarons by Her Macarons were more sweet options. Custom printables are a wonderful way to dress up a party and even desserts. I love the personalized candy bar wrappers made by Tiny Toy Tots for Hire. Did you notice the checkerboard flooring? I love that old-school diner feel. The dining tables look adorable with colorful place settings, soda fountain glasses and yellow and white chairs. Retro diner inspired napkin holders look amazing on the tabletops! A separate room held an amazing popcorn and cotton candy bar. What wonderful retro equipment! The striped tablecloth and patterned bunting added festivity to the space. Superheroes really know how to work up an appetite. Guests at this party enjoyed a healthy helping of delicious food wrapped up in their own superhero themed lunchboxes. In case of an insatiable sweet tooth, never fear, dessert table #2 was there! Across from the popcorn and cotton candy bar, a separate “Boom!” “Pow!” and “Wham” superhero table was set up with more amazing treats. This awesome table featured a custom backdrop made to match the invitation. There were “shazzam rings”, mini bomb cake bites, suckers, and treats in colorful tin buckets. How amazing are the cupcakes and cookie pops (Design My Cupcake) made to look like the guests of the superheroes on the invitation? Check out that building inspired cake by Cupcake Party! There are just so many details not to miss! Super heroes need to dress the part whenever possible. Keeping this in mind, custom made capes and masks were prepared for each guest in a keepsake bag by Bee Stitched. Babies received custom made bibs with the cutest saying. Included with each kit was an official super hero certificate. When you have a mixed age crowd, having a great variety of toys and activities is really important. The trusty super planners made sure that plenty of toys were on hand to keep the kids happy and playing. There were cool Ferrari pedal cars, cozy pink couple cars, climb and slide toys and even a ball pit! Keeping kids of all ages busy sounds easy with all of the fun toys they had available. Also on hand to provide fun memories was a custom made phone booth! What a fun prop for taking photos of little super heroes in action! The highlight of the party activities had to be the real life superheroes who showed up for a surprise visit! These heroes helped the kids “save the milk bar” and complete their party mission. There’s nothing quite like restoring order to a party and thereby saving the universe! Way to save TWO birthdays with this amazing super hero party!